Here comes a true Nord woman. 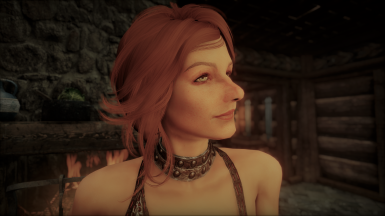 A Mature Follower - a proper lady around 40 with the skills and exprience needed to aid the Dragonborn. The amulet is Lost Inside Necklace from Lean Lilith Jewelry﻿. I am not the original author of this mod. This mod is the work of the super cool Somollig I have obtained permission from the OG author to use, port, maintain,modify and develop this mod for Skyrim Special Edition. Even then, if the OG author finds this mod in violation of any of their terms, they have the right to BURN IT DOWN! Also DO NOT click the above 'Donate To Support﻿' link for charity donations and only click it if you like my work and want to support my personal modding efforts. 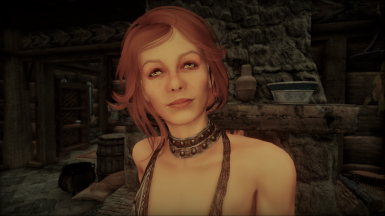 Wanna feel good about downloading mods? Just download the mod and a part of the Donation Points proceedings (if any) will go towards helping these wonderful charities! Kindly note the armor is notpart of the mod.